Friends are a basic need of human life. I would say third after air and water. Food is important too, but as long as you have good friends, they’ll have a granola bar. Friends take five-day road trips with you. Friends make it okay to buy an entire DQ ice cream cake for no reason. Friends make you mix tapes cds. Friends heckle the green knight with you at Medieval Times. Friends let you eat their pizza crust. Friends don’t let you leave the bar with that dude on the motorcycle. Friends clean and bandage the road rash on your bum. Friends help you out of clothes you become trapped in, in a dressing room. Friends get naked with you in a bath tub, film it, and turn it into a school project. Friends ask you to bake for their wedding because they know you’re kinda obsessed with baking and have a blog about it. Friends accept your invitation to bake for a wedding even if it’s gluten-free and they’ve never baked anything gluten-free before. I’ll let YOU guess which scenarios speak of me and which scenarios speak of my friends in the above. If you answer c) none of the above then you are wrong and have confused this blog with ACT prep. Hit your browser’s back button. I figured brownies were something basic enough that there would be several good GF recipes in circulation already. 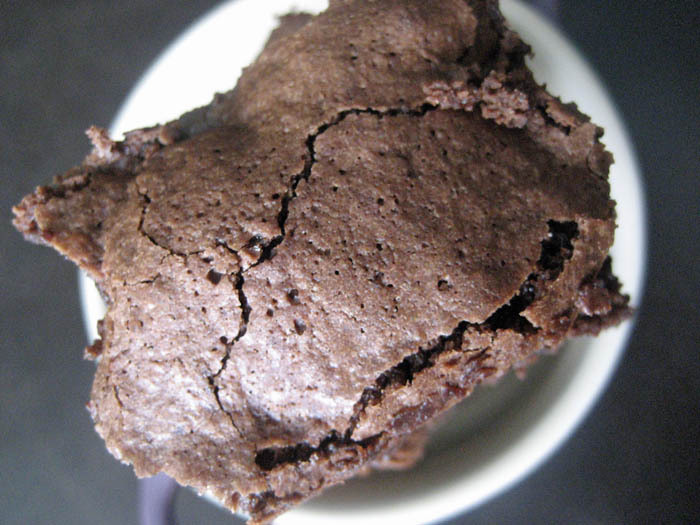 I scoured the interwebs looking for delicious GF brownie recipes that didn’t require 12 different kinds of obscure flour. My first crack was one that used oat flour and suggested I make my own with rolled oats and a coffee grinder. Easy enough. 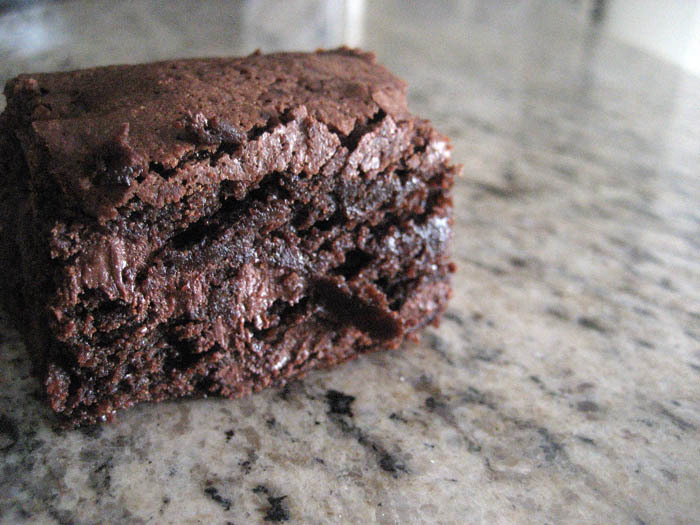 Sadly, the texture of those brownies were more like corn bread than brownies. 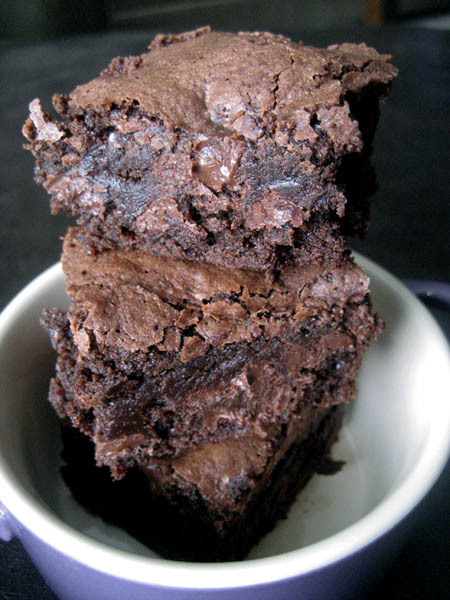 Don’t get me wrong, I love corn bread, but I prefer my brownies thick, dense and fudgey. So I did the most logical thing a baker would do: bought myself some King Arthur Flour GF flour mix and looked up a GF brownie recipe on their website. Um, why did I even bother with anything else? These are perfect! Only the most trained palette could tell there was something slightly different about them and they probably wouldn’t guess GF. 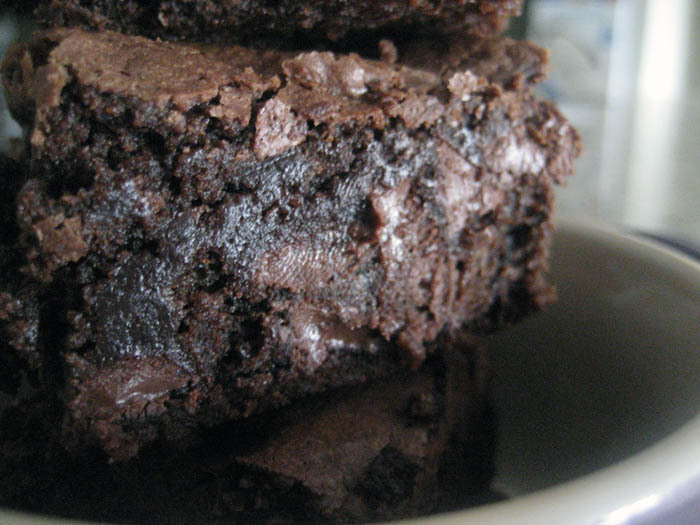 They’re thick, rich, dense, fudgey, chocolatey, everything a brownie should be. 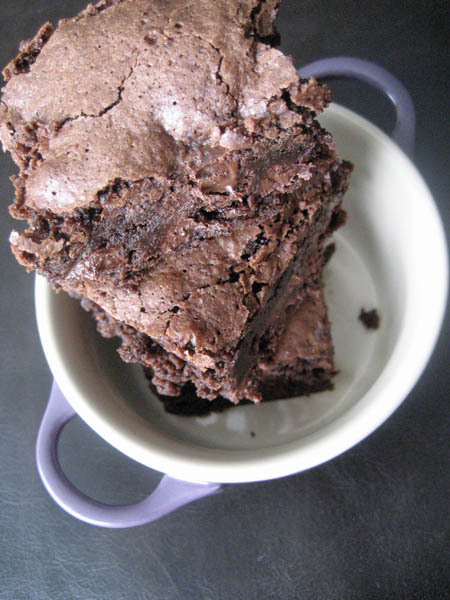 If you are a GF eater, these should be your go-to brownies. Place the sugar, butter, and salt in a saucepan. Heat over medium heat, stirring with a heatproof spatula until the butter melts and the mixture lightens in color. Transfer the mixture to a bowl and allow to cool for 10 minutes. Blend in the vanilla and cocoa, then add the eggs and mix until shiny. Blend in the flour and the baking powder. Stir in the chips. Bake the brownies for 33 to 38 minutes, until the top is set; and a cake tester or toothpick inserted in the center comes out clean or nearly so. Seriously. Sour cream glazed, old fashioned glazed…or a Boston Cream? Or a box of mixed Tim bits!